Li Mo is having second thoughts and the relationship has barely begun. Previously on The Four… catch up with episode 19 recap! 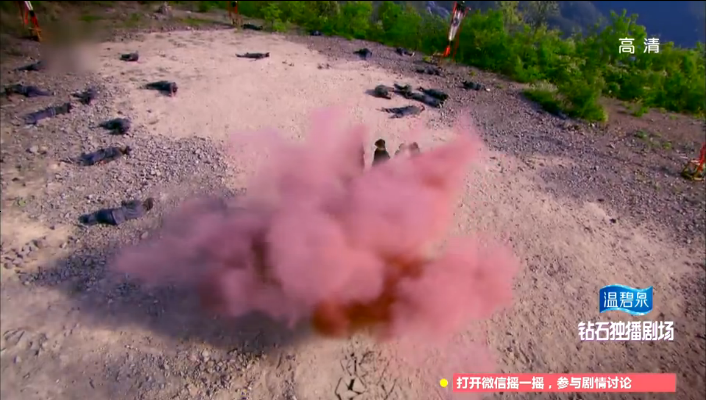 As the crew is hopeful that they can finally get to the bottom of this, ASG causes Wen Ru Yu to explode into red dust. Talk about a crazy exit. Bratty Princess also return and runs into Leng Xue’s embrace. Blech. Li Mo walks away in disappointment, but Leng Xue immediately dumps the Princess and follows. He grabs Li Mo’s hand and they go off into the sunset. Just kidding, they go to save Wen Bing Er, who suddenly decides that that she is going to stay in the valley after all. Ummm…. okay…. 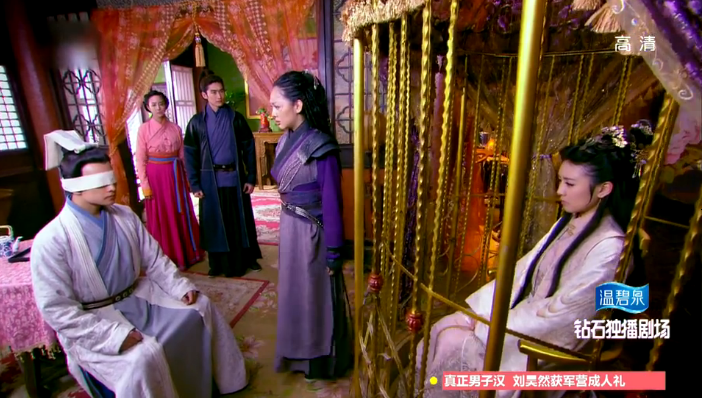 While the Princess is complaining about how Leng Xue is ignoring her (because he was checking out Wu Qing’s blindness), Li Mo faints from being overworked. Leng Xue immediately runs over to take care of her and leaves both Ji Yao Hua and the Princess in shock. Puhahahahahahahahahaha! Li Mo: Why are you so good to me? Leng Xue: I’m only good to you because you saved me. Li Mo: If that’s the case, then know that it was a complete coincidence. Leng Xue: Alright, you rest up. I’m going to check on the others. Li Mo: Ah, how is Wu Qing? Is he better? Leng Xue: He is in Ru Yan’s room, you can go yourself. Ohhhh, do I smell jealousy??? Nu Nu suddenly appears on the premise to “protect” Ru Yan. Leng Xue is surprised that his childhood friend has decided to follow ASG, but she is convinced he is the one who has betrayed the tribe. So… they argue again. How many times do we have to watch this? Wu Qing requests that the cage be opened so he can feed Ru Yan the cure for the poisonous fragrance, but Nu Nu doesn’t know how to. After some begging, Nu Nu allows Wu Qing to remain in the room. Wu Qing visits Ru Yan with medicine again at night and Nu Nu lets him in. Unbeknownst to him, ASG is also in the room. Wu Qing talks to Ru Yan and ASG uses his powers to control her responses. From that, he gathers how Wu Qing and Ru Yan met and fell in love. However, after learning how he wants to know ASG shuts Ru Yan down and kicks Wu Qing to the curb. The bratty Princess attacks again! She insists on staying in Li Mo’s room because it is next door to Leng Xue’s abode. Leng Xue agrees immediately and the Princess gets all proud of herself. But don’t be happy too early! Leng Xue tells Li Mo to stay in his room instead. Ho ho ho! Li Mo follows Leng Xue to his room and decides that she will sleep on the floor. Leng Xue grabs the blankets from her and says he will be the one to do so instead. She wonders why he is being so good to her and he is still being all “I’m just protecting you like I promised Zhu Ge” blah blah blah. And then this happens. Totally random. Apparently he hugs her to prevent her from using mind reading. Whatever, Leng Xue, you keep fooling yourself. She complains that Zhu Ge did not ask him to do such things. Hehehehehehehheeheh. Leng Xue lets go of Li Mo and commands her to quickly get into his bed, but she refuses so they start a quite scandalous sounding conversation surrounding getting in the bed and what not. The Princess overhears and returns to her room to throw a tantrum. Whooooo caressss? In the middle of the night, the two annoying female detectives come by to ask Li Mo to prepare them a soup for menstrual cramps. Leng Xue tells them to go away because Li Mo has gone to sleep, but of course she hasn’t and rushes over to help them out. How stupid can you get! It’s like she has not learnt from all those other times she got bullied. Once outside Leng Xue’s room, the two investigate Li Mo at knife point about how she is supposedly seducing Leng Xue. Suddenly, someone named Wu Hen comes flying and seemingly saves Li Mo by using sleep powder on the detectives. However, just as she is about to thank this guy, he freezes Li Mo and carries her off. As he runs away, Ji Yao Hua spots him. Will she save Li Mo??? Or will the green monster of jealousy finally rear its ugly head? We’ll find out in the next episode! Zhui Ming recovers a book about different poison cures from Wen Ru Yu before he explodes. Tie Shou finds out about Yi Yi’s poison addiction. The Princess throws buns all over the place out of anger. What a food waster. Zhui Ming brings the Princess’ favorite foods to make her feel better, but she is only concerned about Leng Xue. 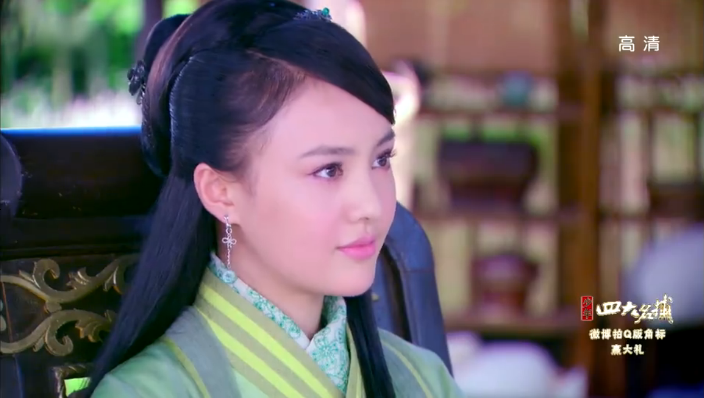 The Princess tells Li Mo that the latter is not fit to be Leng Xue’s partner because she has no status. Li Mo takes it to heart.